Here it is, the long awaited return of Julian Edelman, or I hope so because I haven't seen anything about him being activated, or maybe I'm just blind and missed it. The Patriots are 2-2 and are playing the Colts at home tonight at 7:30pm EST. The Colts play a man to man scheme with a 3-4 base. A 3-4 base scheme is three defensive linemen and four linebackers. Considering this scheme, there are two options for the Colts defensive linemen, a one gap system, where the defensive linemen are going to rush their gaps very quickly and try to disrupt Brady in the backfield and a two gap system where the linemen will react to the play based on the Patriots linemen. If the Colts are going with the one gap scheme then look for Brady to get rid of the ball very quickly. Dump offs to James White or Sony Michel, also look for quick slants to Edelman and Hogan. If the Colts are going to run the two gap system the Patriots will run more play action and even just run the ball period. Sony Michel had an incredible week against the Dolphins and I expect him to be used a lot this week. He truly looked great and he was exactly what I thought he was going to be coming into the season. The Pats are almost in their true offensive form considering that Edelman, Gronk, and Gordon will all be on the field at the same time tonight. This is gonna be so exciting I can't wait for it. 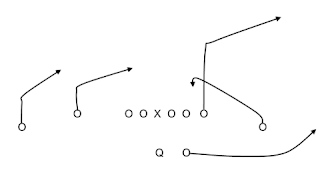 Considering that the Colts are going to be in man to man, look for Edelman to come across the middle on a slant route, which will be Brady's first look, and then Gordon could run a deeper slant, and Gronk doing a 10-15 yard out route. The draw up would look somewhat like the picture below. 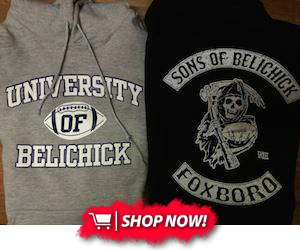 I expect the pats to have a field night against the Colts. With the trio of Gronk, Gordon and Edelman, its going to cause nightmares for defensive coordinators and also the defense itself. The Colts don't have a great run game. They average about eighty yards a game. Its decent but not great. They rely heavily for their quarterback, Andrew Luck, to make big plays. The Colts love to run a formation with both of their tight ends, Jack Doyle and Eric Ebron, on one side. 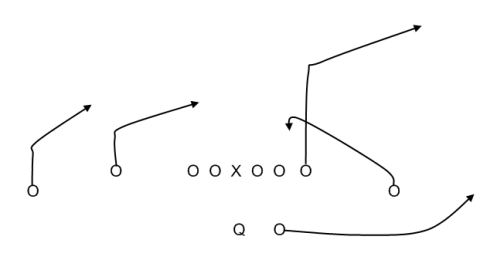 They'll run Doyle on a vertical seam along with Ebron running towards the sideline and then breaking it off into a vertical route to stretch out the defense. They also have the option to dump it off to a running back. The Patriots are gonna have to be very perceptional tonight. Make their reads and react accordingly. I mean thats the plan for every game but tonight their going up against a solid quarterback who can extend plays and make defenses hurt if they screw up, not to mention his hidden running abilities. The Pats defense looked a lot better last week with the return of Chung and Flowers as well. They were quick off of the ball and had incredible coverages in their secondary. I loved how aggressive they were. It can't get any better than not allowing points until the final drive of the game. I mean obviously a shut out would of been nice but you get the point. The Pats are gonna run away with this one pretty early I expect a 35-7 type of game. With James White having a touchdown, Edelman getting two touchdowns and Gronk getting a touchdown as well. Brady will have a big game this week and I think the Colts will turn the ball over twice. 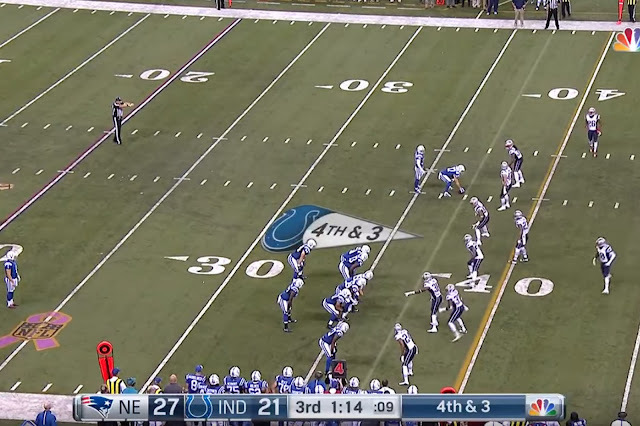 Lets never forget this beautiful fake punt by the colts. " Illegal formation the whole right side of the line was off of the line of scrimmage." Thats just hilarious.